Ops-Core Face Shields protect the face from blunt trauma, ballistic threats, and blast shock waves. 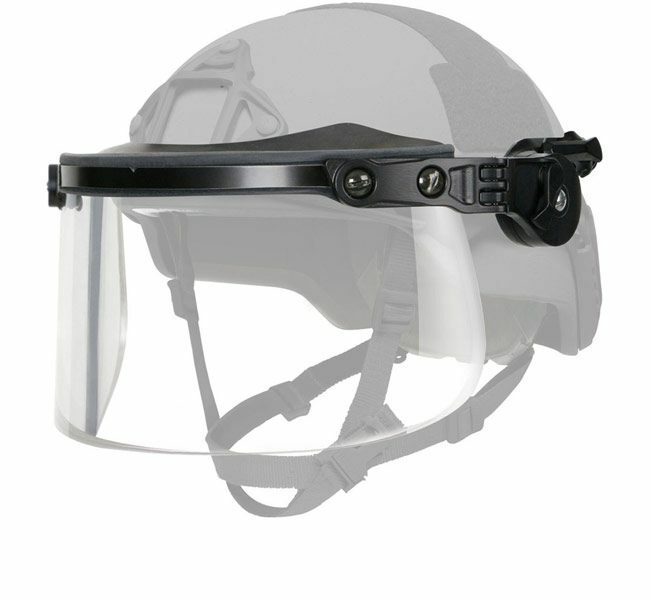 Because of their unique system design, all Ops-Core FAST and Sentry Helmets and Gentex ACH/TBH Helmets can seamlessly incorporate the Ops-Core face shields using the Ops-Core Accessory Rail Connectors (ARCs). Once mounted, the unique, internal face-shield locking mechanism secures the face shield in any position/angle desired.